FTP ( File Transfer Protocol ) is one of the great and efficient ways of transferring files over a TCP based system like the internet. It helps to move a large number of computer files from one host or system to another host or system without any hassle and complexity. There are lots of robust and secure Linux FTP Client available in the market. That makes it very difficult to choose the best and reliable one for accomplishing the task. Here I will be trying to make a list of fastest Linux FTP software for you. So that you don’t need to expend much time for checking all the secure FTP client available out there. This is a generic list of Linux FTP software which will be helpful for the Linux geeks while transferring files across internet protocol. FileZilla comes on top of this list of best Linux FTP Client. This is one of the best and secured FTP client for all the major platforms like Linux, Unix, Windows, and MacOS. FileZilla is a reliable and fast FTP, FTPS and SFTP client for Linux. It supports resume and transfer of a large file. There are lot more intuitive features available like bookmarking, drag-drop support, transfer queue and site management, etc. CrossFTP is a simple, cross-platform supported, reliable and secure FTP client for Linux, Windows, and MacOS. This FTP software is a must-have tool for those who are frequently moving files into remote locations or cloud storage or web host services. It helps your work without crashing or becoming unresponsive. It has all the features that a daily or pro users need to accomplish the file transfer protocol task. If I say it’s only an FTP client, then I am entirely wrong. This versatile best FTP client also supports Amazon S3, Amazon Glacier, Microsoft Azure and Google storage. Another great option is to use the gFTP client which provides an intuitive user interface and easy configuration. It’s a free multithreaded file transfer client for Unix based system. This Linux FTP client can be a useful alternative to FileZilla. 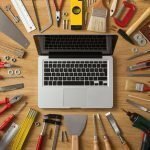 It almost looks like Filezilla, but there are some features which make it slightly different from Filezilla. It supports FTP and HTTP proxy server. This Linux secure FTP client also supports FTP, FTPS (control connection only), HTTPs, HTTP, FSP and SSH protocols. Kasablanca is a secure graphical FTP client for KDE system. It’s one of the fastest FTP client written in C++ and KDE libraries. Kasablanca supports advanced bookmarking system. There are many features currently it offers including responsive multithreaded system, connection to multiple hosts, intuitive file transfer queue, drag and drop option and much more. 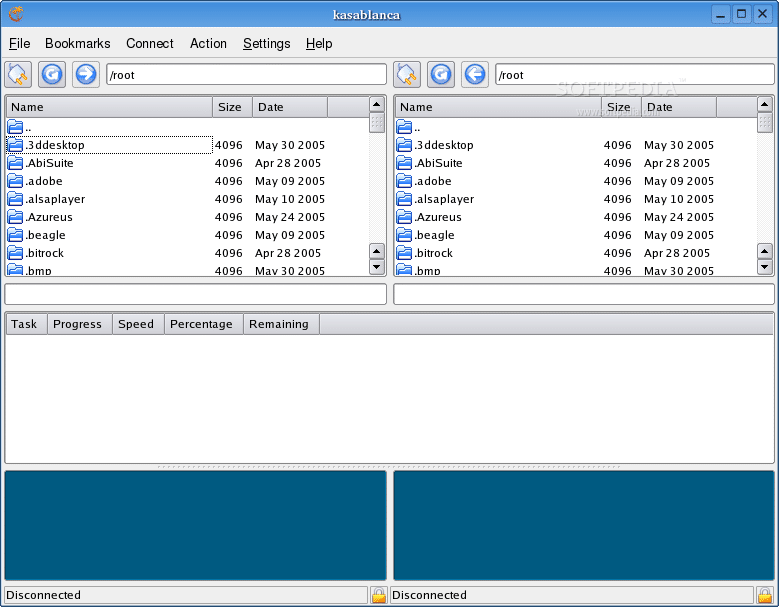 Konqueror is a file manager and web browser for KDE desktop environment. You can also use it as a secure Linux FTP client via the address bar. Just type ftp://username@server.com/ or ftp://username:password@your.ftp.org into the address bar and get connected through FTP protocol. 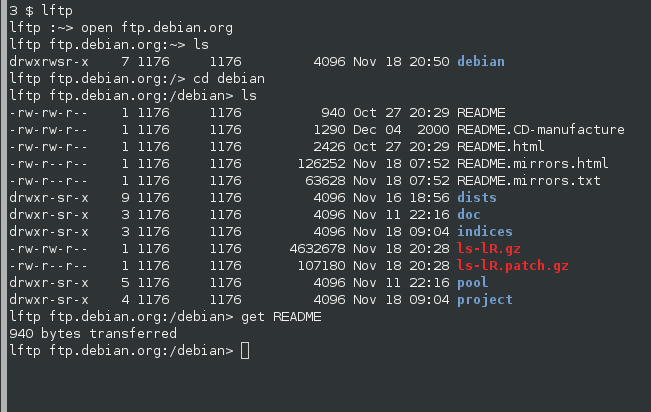 Lftp is one of the best and easy to go command line Linux FTP client available in the market. It supports many file transfer protocol including FTP, HTTP, FISH, SFTP, HTTPS and FTPS under both IPv4 and IPv6. Lftp offers a lot more features keeping the interface and configuration as simple and straightforward as possible. It’s a fast and secure FTP client and able to do the task in the background. The process reconnects automatically if the connection gets broken. It also provides multiple links simultaneously. Gnome Commander is a great and secure FTP client and file manager for Gnome Desktop Environment. It comes with a unique and understandable interface which supports themes and easy customization. This FTP client aims to offer advanced level file management for power users. It supports multiple tabs. It does the file transfer process through GnomeVFS FTP module. This Linux FTP software can integrate into Gnome Desktop Environment seamlessly and can be a great alternative of the default file manager Nautilus. 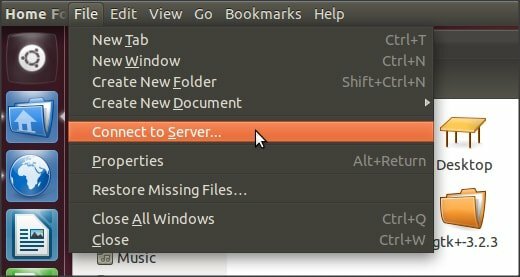 You can install Gnome Commander via Ubuntu Software Center or by running the following command into the Terminal. NcFTP is a cross-platform console based free FTP client which is highly configurable and easy to use. It supports all the major OS platforms including Linux, Windows, MacOS and so on. NcFTP is a complete set of applications which used to perform file transfer protocol – FTP smoothly. This secure FTP client provides many performance enhanced features than default FTP client or any other Linux FTP client available outside. This list remains incomplete if I don’t mention Nautilus FTP client. This server FTP client is very basic which comes pre-packed with Ubuntu installation. 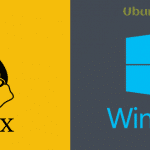 It’s straightforward to use and integrates well with Ubuntu. However, this Linux FTP software doesn’t offer many features about FileZilla or any other full packed FTP client. The interface is very familiar and uncluttered. 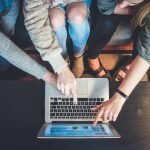 Nautilus let you have an easy way to connect and transfer files through FTP and makes the process as easy as just copy paste. 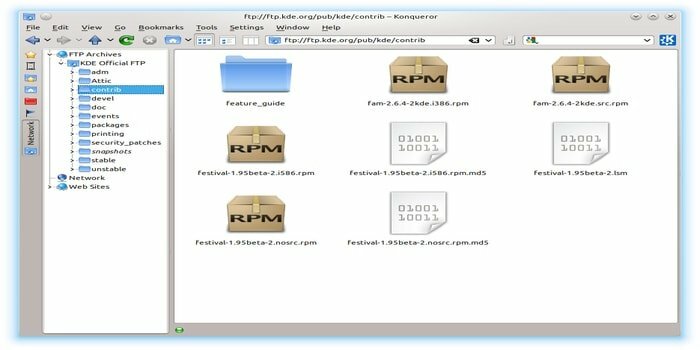 Free Open FTP Face is a fast and lightweight cross-platform FTP client. This Linux FTP software is written in Python and emphasize easy to use and simplicity. It comes with lots of performance enhancing features. It can be run on Windows, Linux and Unix based distros. The interface is modern and carefully designed using GTK+ libraries. It has a built-in image viewer, audio player, text viewer, checksums, and one-click compression technology. Here I have tried to make a list of best and useful free Linux FTP client. Which, I believe, definitely helps both regular and power users to meet their demand while performing file transfer protocol. Is this generic list of best Linux FTP software helpful? If you like it, then please share this content over social networks. Your one small step can make a big difference for UbuntuPIT to live forever. It’s worth considering some of the web-based clients available, like http://www.monstaftp.com (disclaimer: I’m involved) They save you having to download and install the client on every device. Instead you access the client from your browser and enjoy all the same features. Then you have to trust a third-party with your ftp credentials, though. I see my favorite didn’t make the list. BareFTP.